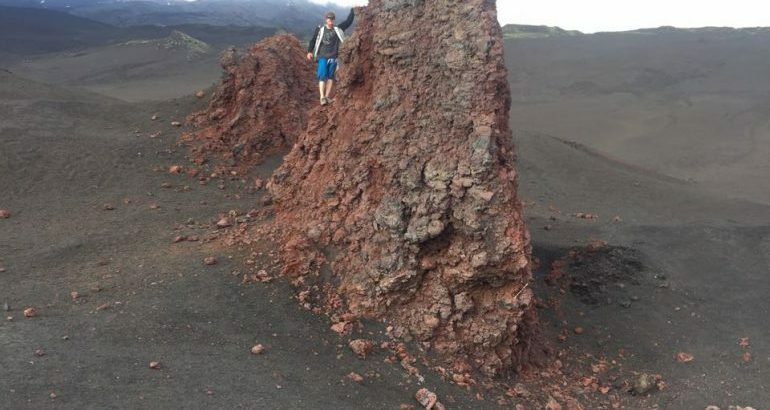 We offer you the opportunity to pass on the «footsteps» of the volcano eruption Flat Tolbachik. 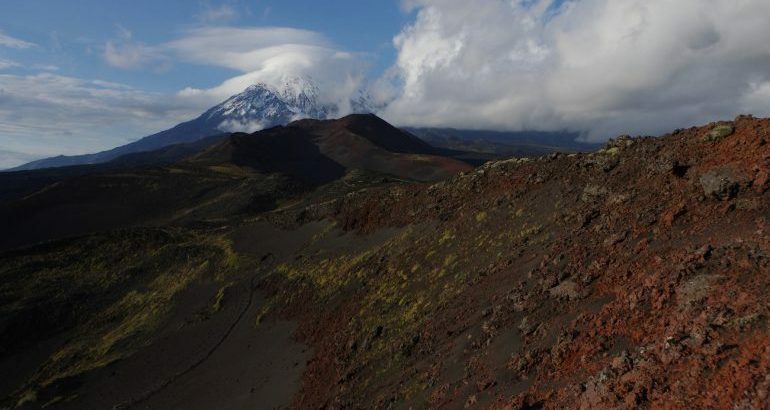 This volcano is part of Tolbachinsky volcanic massif, which is represented by Ostry Tolbachik Volcanoes and Flat Tolbachik. This stratovolcano two fused with the characteristic features of the structure, morphology and completely independent centers of eruptions. 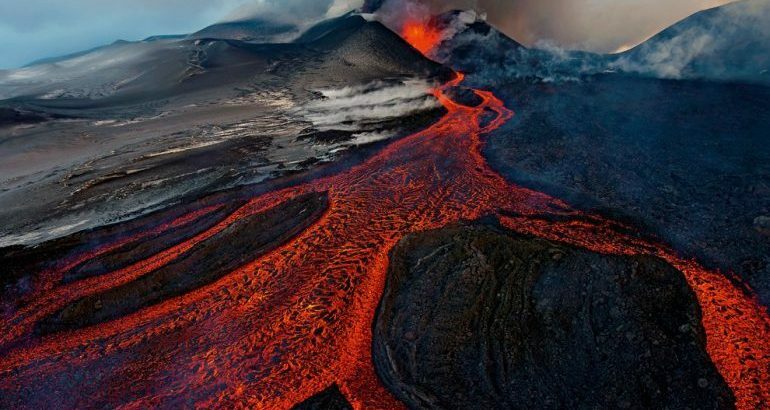 Flat Tolbachik — Volcano acting on his account a large number of eruptions, thus it deserves serious consideration. Ostry Tolbachik, by contrast, there is no danger to tourist groups and adjacent Kozirevsk not a village, it is extinct. Flat Tolbachik to about 3000 m altitude differs vast area apex of which is occupied by a shallow caldera 3.7 km in diameter, filled with glaciers. In its western part is an active crater. In 1975 there was great Tolbachik fissure eruption, ash clouds and volcanic ash covered a huge area of land, with the result that all the vegetation is dead. From earlier forest green and full of life were only bare trunks of trees, yet this area was called «dead wood», which is now fascinates with its languor and silence. Dead wood is a reminder that the power of nature is not only creative, but also destructive. On the night of November 27, 2012 Flat Tolbachik woke up again, destroying the well-known base Lunohodchik «Leningrad», which in Soviet times was one of the sites for testing and Lunokhod rovers. 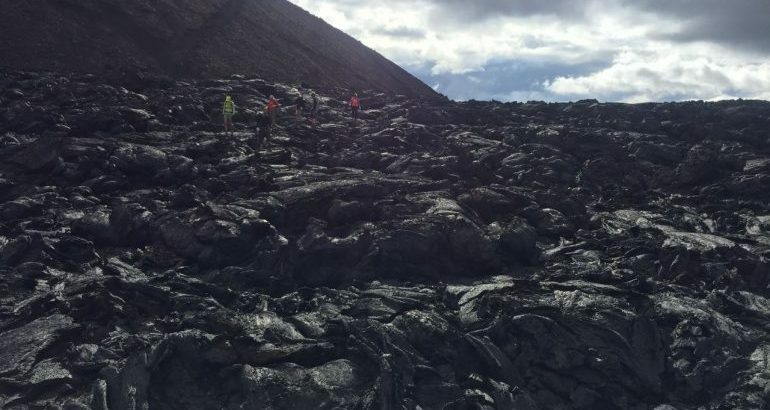 After this eruption, the surrounding landscape has changed beyond recognition, and before long established roads and trodden routes for climbing buried under layers of lava or volcanic bombs are blocked. 1 day. Check out the SUV in Kozirevsk village. Distance to the village 500 km. (. 300 km gravel road) Driving time 6 — 8 hours. (Depending on road conditions). Accommodation in the guest house, relax in the sauna. 3 day. The total collection. Departure from Kozirevsk village (either p. Esso) in Petropavlovsk-Kamchatsky. Travel time 6 — 8 hours. The village of Esso — the administrative center of the district Bystrinsky. The village is located in the middle reaches of the river Fast, in the ancient caldera of an extinct volcano. Under the village is the most underground hydrothermal pond, through which water heats the greenhouse and all the houses, as well as supplies of hot thermal water swimming pool, located in the center of the village. Special therapeutic composition of water, beneficial effects on health and the human body. 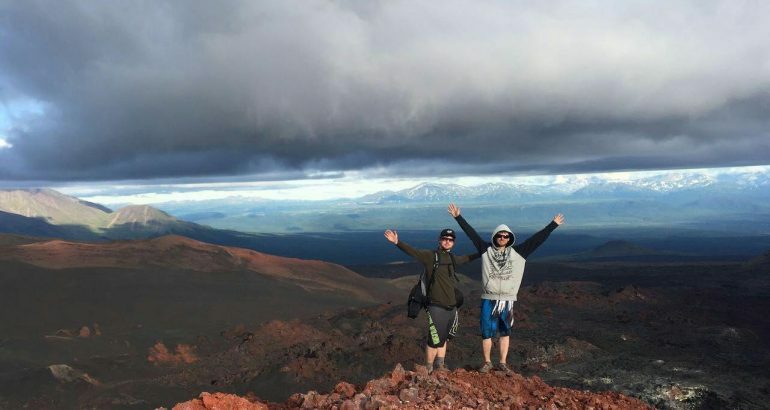 In the locality atypical for Kamchatka nature landscape, here the «masters» of the forest is pine and larch, and the vast highlands give air refreshing and ozdoravlivayusche properties. Number — of tourists in the group: 4 to 8 people. Cost of the excursion: 29000 rub 1st Pers.